Are you ready to learn valuable skills at an organization committed to climate action? Are you searching for an opportunity to learn and grow with a community of grassroots activists and organizers? If so, consider an internship with 350Vermont! Our mission is to unite a mass movement for bold solutions that both lift up Vermonters and cut down carbon. 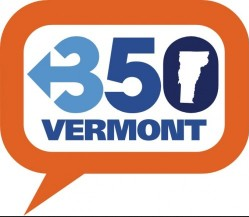 An internship with 350Vermont is a great opportunity to gain experience in the nitty-gritty of grassroots organizing and be fully supported and mentored by experienced staff and/or organizer. We are seeking help with administrative work, outreach, data entry, and social media. Strong writing skills and attention to detail are a must, as are good communication and strong interpersonal and organizational skills. A background in social justice or climate organizing is desired, as well as the interest to learn more about this work. We are looking for someone to support our base building efforts throughout the state and the region around extreme energy (local pipeline resistance, regional pipeline resistance, and regional resistance to oil trains). This intern would plan meetings and events to reach out to people who are interested in our work by attending events and managing social media outreach. Additional responsibilities may include working with our coalition of other organizations working to stop the pipeline and planning actions. 350Vermont is engaging mothers in climate activism and creating family-inclusive opportunities to get more involved throughout the state. We are looking for an intern to support the community organizers to connect with mothers, to reach out to mothers and families, and to plan events. If you are interested in applying or would like to learn more, please contact Brittany Dunn, brittany[at]350vt.org. Join Virginia Shannon ’11 for this engaging Info Session with Green Corps: Field School for Environmental Organizing and learn about their 1-year training program! The mission of Green Corps is to train organizers, provide field support for today’s critical environmental campaigns, and graduate activists who possess the skills, temperament, and commitment to fight and win tomorrow’s environmental battles. It’s a one-year paid post-grad training program that includes classroom training, hands on experience running grassroots campaigns, and career placement following the program. If you’d like to meet with Virginia for a 1-on-1 meeting/interview, please Apply for the position through this link on MOJO (it asks you to upload your resume and cover letter) and then you can pick a time that works best for you on Thursday, January 28th from 8:30a-4:15p. We hope that you can come with your questions to engage her on what other Middlebury alums, who graduated from the Green Corps program, are doing today! And You Thought Google was the Best Place to Work…Check Out Outside Magazine’s 100 Companies! Any Middkids Interested in a J-term Project @ Opower? A Middlebury alumnae, Hilary Platt ’12, associate manager Product Marketing is working with Opower’s president on a task force to make Opower a greener company– from office operations to flying to events. They are looking for 2-3 students to spend a month at Opower doing a comprehensive audit. “I know J-Term is right around the corner, but do you think there is any chance of still finding a couple students to take on this project? I think this would be a great opportunity for the students to be at Opower working on a really important project. The month would culminate with a presentation to Opower’s management team with key recommendations.” If your interested in this unique opportunity working with a cutting edge company in the renewable industry, contact Hilary Platt, platt.hilary[at]gmail.com or contact Tracy Himmel Isham, thimmeli[at]middlebury.edu. Concerned about food security and environmentalism? Consider applying to Yale University’s annual Food Systems Symposium!! The 3rd Annual Yale Food Systems Symposium will be held this October 30-31 and the theme for this year’s conference is “New Alliances That Shape a Food Movement.” The keynote speaker will be Olivier De Schutter, former UN Special Rapporteur on the right to food, and the keynote panel will include Robert Lustig, Dorceta Taylor, and Ricardo Salvador. People in food movements around the world envision a future where the world’s food systems restore degraded ecosystems, mitigate and adapt to climate change, improve community health, and facilitate more equitable economic exchange. To realize this ambitious vision this world must encourage and support novel, collaborative, and holistic problem-solving approaches. This symposium want to bring a diverse group of people and approaches together at this Food Systems Symposium such as those in the public health community who seek to increase access to fresh vegetables in urban centers; land conservationists who wish to preserve farmland; legal scholars who identify avenues of policy change; and immigration reformers who advocate for farm workers. This year’s conference seeks to foster new alliances that will encourage crosscutting conversations, innovative thinking, and actionable strategies. Eaters across the nation struggle to find wholesome food choices that nourish their bodies without endangering important environmental and social resources. A true coalition will bring expertise across disciplines to creatively solve the otherwise intractable problems of food security and access, social justice, public health, environmental stewardship, and safety. These alliances and the common goal of an improved food system will serve as the guiding focus for the 2015 Yale Food Systems Symposium. Interested in permaculture, sustainable living skills, and living in Puerto Rico for a few weeks? The teaching center at Plenitud PR may have the opportunity for you! Established in 2010, Plenitud’s teaching, demonstration, and research center is located in Las Marias, Puerto Rico and offers courses, internships, and demonstrations in sustainable and permaculture practices. Plenitud has stewardship of a 15 acre parcel of land located in the Western, mountainous region of Puerto Rico, and founded a Teaching Center dedicated to the research and demonstration of organic agriculture and sustainable practices. The layout, methodology, and development of the farm have been primarily guided by “Permaculture” design principles, emphasizing soil conservation, responsible water management, renewable energy, and natural building. Each year, hundreds of visitors from private and educational sectors from around the world participate in courses, internships, and research collaborations in a collective effort to gather and share the skills and values for a more sustainable and healthy future. This year- Plenitud PR is offering a two week internship for individuals to learn the practical application of sustainable living skills!! New summer internship opportunities to join in a grassroots campaign on economic justice for Vermont farmers with Rural Vermont!! For the past 30 years Rural Vermont has worked to create economic justice for Vermont farmers through education, grassroots organizing and advocacy for the past 30 years. Join their team and help fulfill their vision for a community- based food system which sustains our farmers, our communities, and our lands. The two summer internship opportunities, as a Grassroots Organizing intern and an Outreach Intern have deadlines on April 1st (but it is rolling admissions so apply ASAP)!! Interested in a career in land conservation, environmental science, or public policy? The Piedmont Environmental Council has an intensive fellowship program that may be for you! Are you an undergraduate, graduate student or recent graduate interested in learning more about a career in environmental conservation? If so, you should consider applying for the 9th Annual Piedmont Environmental Council (PEC) Fellowship Program, based in Warrenton, Virginia! Twelve students will be selected for this once-in-a-lifetime opportunity to spend a summer in the Virginia Piedmont, while studying with seasoned professionals in land conservation, land use planning, agriculture, habitat and more. The highly acclaimed PEC Fellowship is much more than an internship. For the first four weeks, the program combines classroom discussions, field trips, and hands-on activities to give participants a comprehensive understanding of the work that PEC does. For the final three weeks, the fellows work on a collaborative practicum, focused on their interests as well as a particular aspect of PEC’s work in the Piedmont. Through this personalized experience, participants gain the practical knowledge and skills necessary to successfully transition into careers in conservation, urban planning, agriculture, historic preservation, public policy, and other related fields. In addition to providing fellows with local housing, PEC covers all program-related expenses and provides a stipend to cover living expenses. Need a platform to expand on your ideas? Check out The Global Good Fund’s 2016 Fellowship program for social entrepreneurs!! The Global Good Fund is now accepting applications for our 2016 Fellowship cohort. This 15-month Fellowship accelerates the personal growth of high potential leaders in the social sector. If you are an entrepreneur solving complex social problems and achieving global good, you should apply! The Global Good Fund is a leadership development enterprise built by and for social entrepreneurs. They identify high-potential leaders and accelerate their success through proven and proprietary development methods. The Global Good Fund invests in these leaders by pairing them with executives who serve as Coaches, and by providing leadership assessment resources, a network of peers, sector expertise, and targeted financial capital. Part 1 of the application will be accepted through June 1st, 2015. Please visit our website below for more information about the Fellowship and the application process / timeline. Check out this exciting undergraduate research opportunity with Sustainable Climate Risk Management! SCRiM Summer Scholars is a competitive summer research experience sponsored by the National Science Foundation through the Network for Sustainable Climate Risk Management (SCRiM). Hosted on the University Park campus of Penn State University, the program offers students the chance to participate in cutting-edge, transdisciplinary research at the intersection of climate science, economics, risk analysis, ethics, and decisionmaking. Housing, travel support, and a stipend of $4500 is provided for all participants in the 9-week program. Please visit http://scrimhub.org/undergrad-research/ for additional information about applying! Have a passion for natural resource management, forestry education and conservation? Check out this opportunity with the New England Forestry Foundation! New England Forestry Foundation (NEFF) was founded in 1944 to encourage more prudent use of New England’s forests, which suffered from poor harvesting practices and a lack of good management planning. Today, NEFF is a recognized leader in sustainable forest management, conservation, forestry education, and assisting landowners in the long-term protection and management of their properties. Interested in land protection and conservation? Check out this opportunity at the Lake George Land Conservancy as a Steward Assistant! The Lake George Land Conservancy (LGLC) has been working to protect the land within the Lake George watershed – from summit to shoreline – to preserve the world renowned water quality of this amazing lake. As a non-profit land trust our work depends on the generosity and passion of people who love Lake George and want it to remain as clean and beautiful as it is today for their children and future generations. The Lake George Land Conservancy (LGLC) Stewardship Assistants will work with and under guidance from the Land Protection and Stewardship Specialist to conduct the daily management and maintenance of LGLC’s preserves and properties. Together, the Stewardship Assistants will be responsible for maintaining and improving the hiking trails on LGLC preserves and properties, including erosion control, clearing brush and trail marking. Scouting and blazing new trails may also be required, as well as bridge and kiosk construction and installation. They will also monitor each of the properties for which LGLC holds conservation easements. documenting and reporting on field work, as well as the routine maintenance of tools and vehicles. To find out more information and how to apply please check out this Pdf: Stewardship-Assistant-2015 ! Multiple job opportunities with the Island School to teach a variety of subjects including marine biology, math, history, social and environmental studies! The Island School offers a transformative educational semester and summer journey. High school students from around the world join the intentional community of teachers and learners seeking to transcend traditional education models. With the campus and surrounding ocean as their laboratories, they partner with a world class science research facility. The Island School programs engage in the processes of inquiry in order to discover sustainable solutions to real world problems. They explore the framework of Eleuthera’s cultural and environmental landscape through student-centered academics, outdoor programs that support personal growth and leadership development, and outreach programs that practice a project-based approach to local collaboration. The Island School experience culminates in the beginning of a lifelong educational journey, with more self-confident students leaving as engaged global citizens, empowered to be active leaders of their generation. Several opportunities to work with the Hurricane Island Foundation! Check out the postings below! They are offering THREE internship opportunities for students interested in environmental sciences. See the attached flyers (below) for more information. The application(s) deadline is February 16th, so don’t hesitate! Want to learn more about conservation biology and potential opportunities to work in fields relating to natural resources and biological sciences? Come to this info session with the U.S. Fish and Wildlife Service! The U.S. Fish and Wildlife Service (FWS) would like to engage Middlebury College students to be aware of Fish and Wildlife Service internships and full-time work opportunities in the natural resources, biological sciences and related fields associated with managing a national conservation agency. We can also help train students to effectively navigate USAJobs, the federal job website which is the portal to all permanent federal government positions. The U.S. Fish and Wildlife Service’s Northeast Region encompasses 13 states from Maine to Virginia. About 70 million people, nearly a quarter of the nation’s population, live within this area where the Service’s nearly 1,000 employees work in the regional headquarters, field offices, national wildlife refuges or fish hatcheries. Part of the U.S. Department of the Interior, the Service conserves, protects, and enhances fish and wildlife and their habitats for the benefit of present and future generations. Service biologists contribute to the health of our environment — and consequently our quality of life — by protecting and restoring important habitat, safeguarding endangered species, minimizing environmental contamination, and restoring fish populations. To find out more information about the many opportunities for Middlebury students to be involved with the U.S. Fish and Wildlife Service come to the INFO SESSION from 1-2pm on Thursday, January 29th in the CCI Career Library in Adirondack House. A representative from the FWS will inform students about FWS job and internship opportunities, will go over the USAJobs portal and how to construct federal resumes! Come one, come all! Don’t miss out!